Home / Freebies / Enter For a Chance to Win $500 from LearnVest! 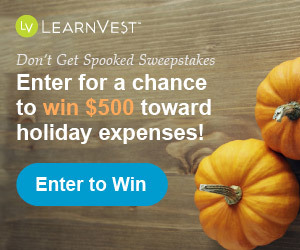 Here is a fun new sweepstakes from LearnVest where you can enter for a chance to win $500 to spend on your holiday shopping! Put it towards decorations, gifts, food, whatever! This would be a fun one to win! And once you sign up with LearnVest, the more accounts you link, the more chances you have to win. With LearnVest you can connect all of your accounts together, create folders for your transactions, and set up a budget to help you track your holiday spending. It’s a great way to get a handle on your holiday shopping before you start! So get signed up with LearnVest today and you will also be entered for a chance to win $500 to put towards your holiday spending!